Bathrooms: 2 "1 FULL UP 1 3PC DOWN"
Size: 2,113 sq. ft. "TOTAL SQ FOOTAGE BOTH FLOORS "
One of the nicest established neighbourhoods on the northside, locates Douglas Ave at the top of FULTON HEIGHTS. This FAMILY FRIENDLY area is great for kids – parents love that their children can walk to middle school, soccer fields, public indoor pool & fieldhouse. Popular Park St elementary school is also nearby, as well as parks, malls & restaurants. If I haven’t sold you on the location- well the house will do the rest! Spacious split entry enjoys BUMP-OUT foyer giving that, much appreciated, extra room for coats & boots. Gleaming HARDWOOD floors and VAULTED CEILING along with cozy gas FIREPLACE welcomes family & friends into the living rm & open dining area. Patio doors lead out to sunny deck & lovely backyard. CLASSIC WHITE KITCHEN enjoys dbl stainless sink & new faucet plus all your appliances are included. Master bedrm has walk-in closet & cheater door to large bathroom w/convenient laundry area. 2 more bedrms complete this level. Downstairs finds the large family rm with lovely hardwd flrs, 4th bedrm and remodeled bath w/tiled shower. 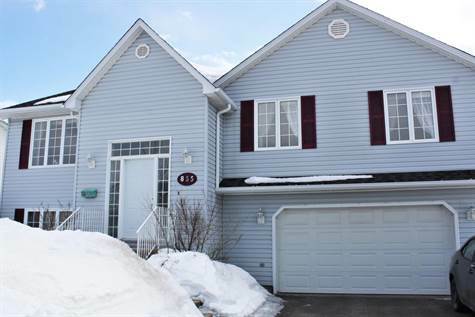 A convenient walk-out through garage; ductless HEAT PUMP, NEW ROOF SHINGLES 2015 make this family home- FABULOUS! Note gas fireplace- currently no propane tanks.